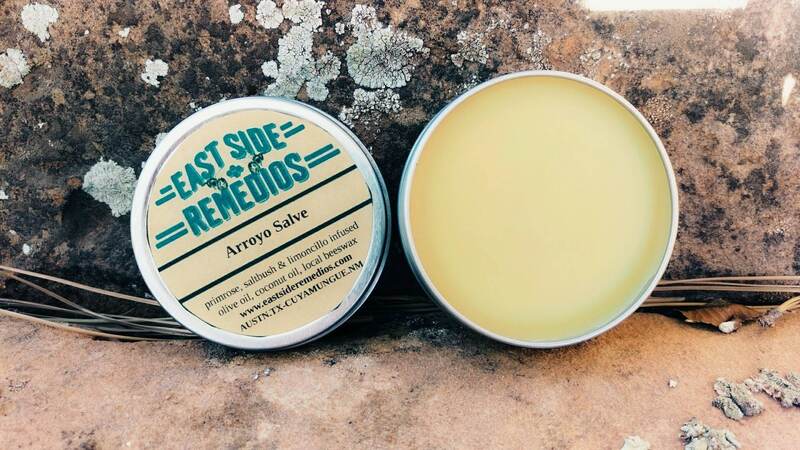 This super nourishing salve is made from plants found growing along Northern New Mexico arroyos. Saltbush, wild limoncillo, & evening primrose are infused in carrier oils. Local beeswax from our apiary rounds is then added. Native people used salt bush flowers and leaves to create a wash to treat skin irritations. The wild limoncillo and primrose add a subtle scent that evoke our dusk and dawn rambles down the arroyo. 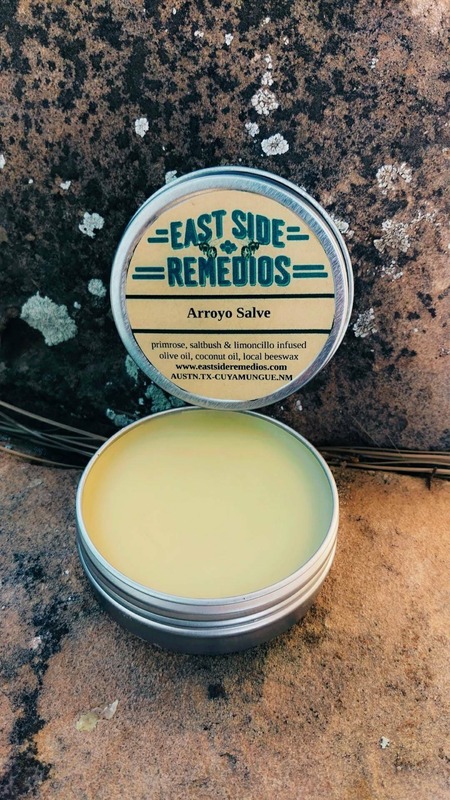 Ingredients: locally foraged evening primrose, saltbush, gum weed, prairie clover and limoncillo infused in olive oil pomace and coconut oil. Local Northern New Mexico beeswax.